Sankey Diagram – Sankey Chart – Sankey Graph – Sankey diagrams are a type of a flow diagram where width of an arrow is proportionate to flow quantity. 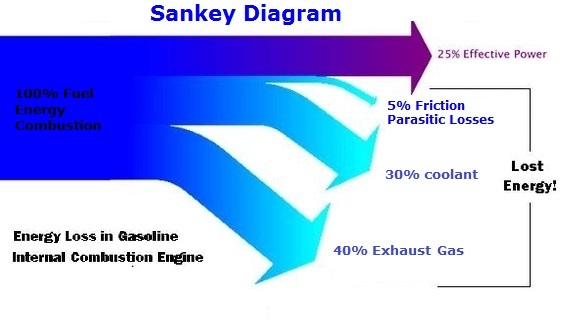 Sankey diagrams are often used to show energy flows. The below example shows energy loss in the combustion engine. 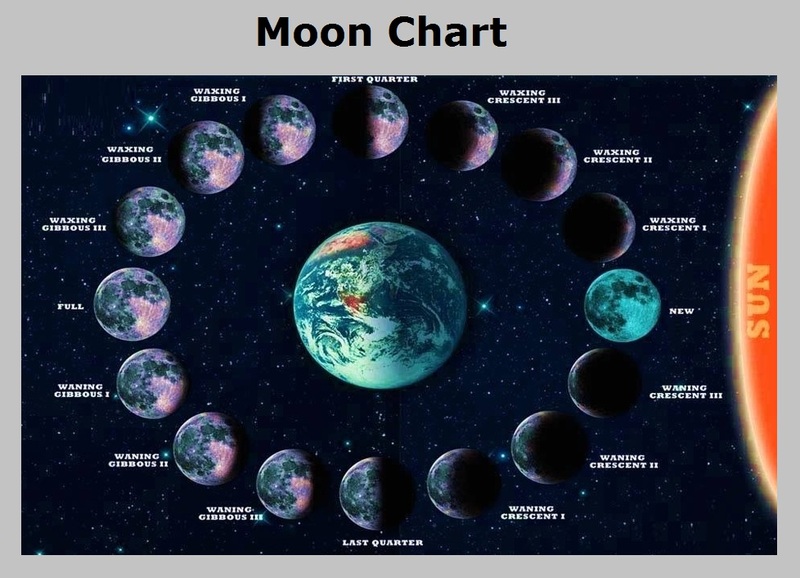 Moon Chart – Moon Diagram – Moon Phases – Lunar Phases – Moon charts depict different stages of the moon in its relation to earth and earth’s movement around the sun. The lunar phases include: Full moon, new moon, first quarter moon and last quarter moon as well as other stages of the lunar cycle. 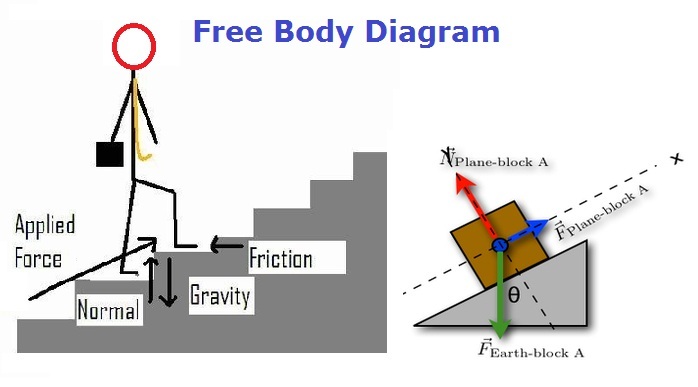 Free Body Diagram – Free Body Chart – Free Body Graph – Free body diagrams are widely used in Physics to depict various forces acting on an object including Force of Gravity, Normal Force, Applied force, Friction, etc. Often, the forces are acting at an angle. Note that the force of gravity is always downwards facing. Free body diagram is a useful visual depiction of forces acting on a body or an object.